Does Professional Teeth Whitening in Waco Actually Work? Have you been seeing those “light-activated whitening kits” being advertised by your favorite celebrities? From Khloe Kardashian to Ciara, social media has been tricking patients into buying these ineffective whitening kits. The same goes for the thousands of advertisements being pushed on you to try over the counter whitening products. Many patients are disappointed when they don’t achieve the promised results. If you want to brighten your teeth, don’t waste your time and money buying into the internet’s gimmicks. It’s time to consider getting professional-grade teeth whitening in Waco from a true dental expert. Wait, isn’t it easier to whiten my teeth from home? Many patients find it more convenient “lift stains” at home, but in fact, you won’t achieve the results you’ve been wanting from the weak products used in these kits. To your surprise, you can actually whiten your teeth either in our office even more quickly and efficiently in our office or from the comfort of your own home with our professional grade take-home whitening kits. Rather than being disappointed, consult with your Waco dentist. 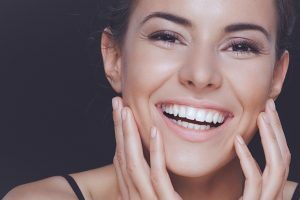 Here’s why you should choose to get your teeth whitened by a professional rather than purchasing a drugstore product. Your safety is our priority and we will customize your treatment to make it effective and comfortable. Our product ensures the dazzling results you want. You don’t have to worry about making a mess or bleaching things at home. Get the results you want in as quick as one office visit. Your whitening results will last much longer than a generalized over-the-counter whitening treatment. For a take-home treatment, your dentist will fit you for custom bleaching trays that are precise to your individual teeth, reducing the risk of you bleaching items and clothing at your house. You will also receive a supply of doctors prescribed whitening gel. All you have to do is follow Dr. Simeone’s detailed instructions and you’ll have a stunning new smile in just a few weeks. If you want a quicker result, just simply visit our office for a 20-minute whitening session! Getting teeth whitening at our office is even easier than that. We do all work for you, even protecting your gums with a barrier between your soft tissues and the strong bleaching products. We will safely monitor you to ensure you don’t damage your gums or teeth. Has the idea of improving your smile peaked your interest? If so, the process is easy and much more effective than drugstore products! Dr. Cofer grew up in Irving, Texas and has been practicing local dentistry for his fellow Texans since 2012. As your local dentist, he puts his patient’s satisfaction and convenience first. That’s why he believes in offering professional teeth whitening both from home and in our Premier Family Dental office. If you’re interested in exploring the best ways to get a whiter smile, call (254) 382-0619.
by: Dr. Rick Cofer at September 18, 2017 . Comments Off on Does Professional Teeth Whitening in Waco Actually Work?